Hello Lovely People! I am back from holiday/sick leave. I hope you all had a good December and that you were with loved ones. If not I hope you found some people and joy. 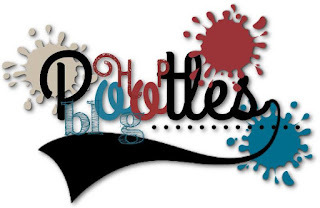 The spring/summer catalogue went live January 3rd and I am taking part in the pootles blog hop. We have all made projects using new products from the catalogue. Please make sure you click on the links below and check out the rest of my teams wonderful projects. Just click on everyones names below and you can see who has made what! I will be doing a YouTube video featuring this project and that will have the links in for all the products I have used. So do not panic that you won’t find them in this blog post. They are coming soon. I have went with something simple but effective. 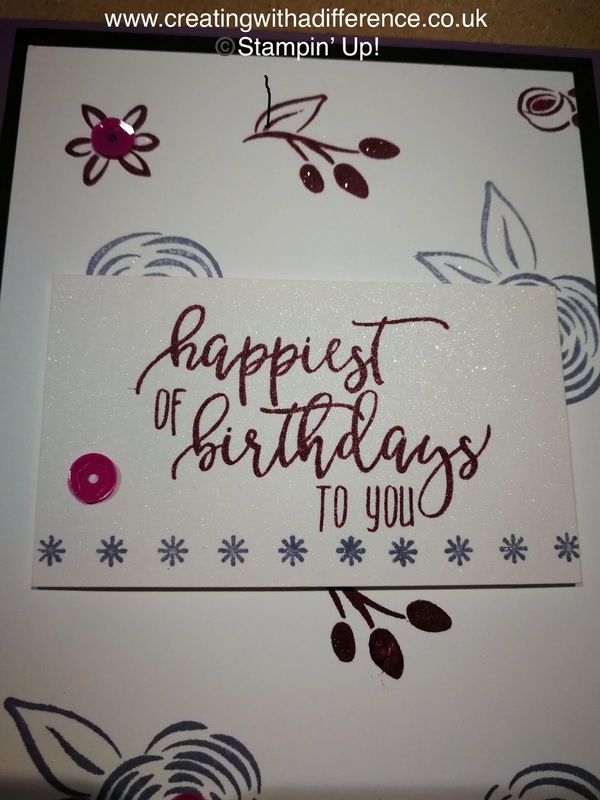 I made an A6 card. Simply cut in half and folded in half a sheet of A4 wisteria wonder. 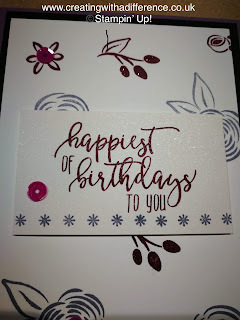 I folded mine in a tent card style as I thought that I would change up my style of cards this month. 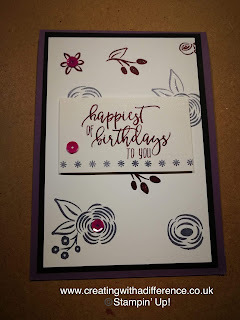 The card makes a 6 inch X 4 inch base that’s 15cm X 10cm base. My basic black piece is 1/4 inch that’s 1/2 cm shorter and narrower. My whisper white piece is 1/4 inch that’s 1/2 cm shorter and narrower. Our brand new sequins with glue dots already of the back. I am really happy with how this turned out and it took me only 20 minutes from start to finish including designing. 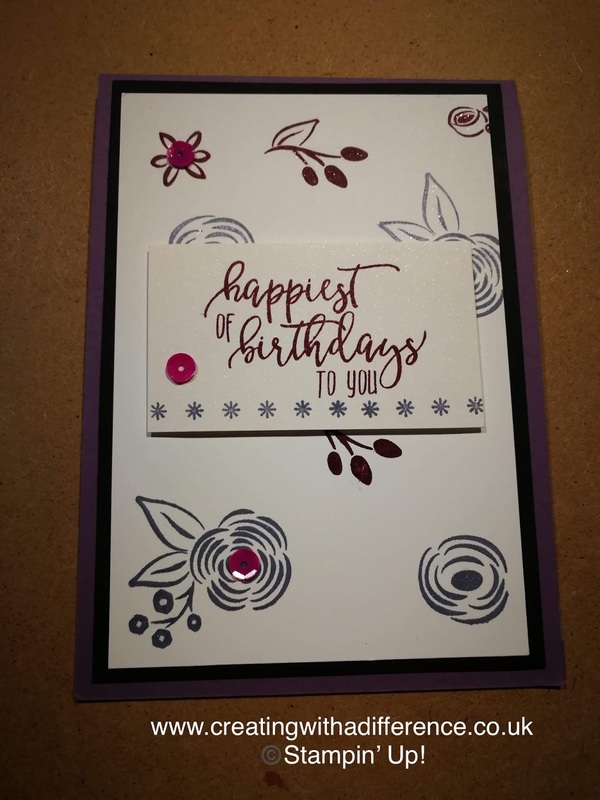 Quickest card I have made in a LONG time.